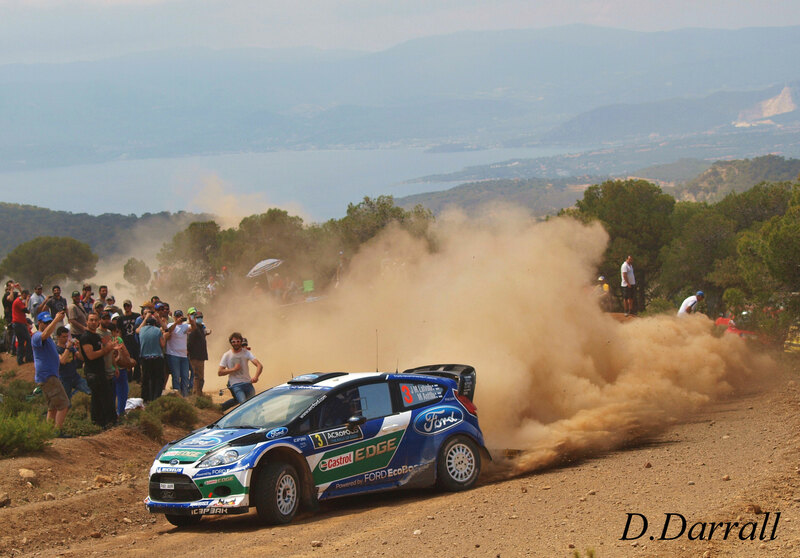 This weekend the World Rally Championships heads over to Greece for the ‘Classic’ Acropolis Rally. Known as ‘The Rally Of Gods’ Acropolis is one of the longest-standing and most iconic events in World Championship and was one of the original rounds of the series when it was established back in 1973. Greece is known to be a car breaker. With its High Temperatures and the twisty Rough roads Makeing for a tough challenge for even the best drivers in the world. The gravel surface is soft, and cuts up very easily. It’s sand on top of rock in many places making for difficult grip levels, and can also cause punctures on this exciting rocky and scenic event. The Rally Its self is based in the coastal resort of Loutraki. This year’s Acropolis itinerary has changed considerably from last year with stage distance shortened and a day less, But despite this, the competion will still be fierce. The Qualifying Stage (6.05-kilometres) is on Friday morning to decide the running order for day one, then crews head east to the capital Athens and the famous Zappion for the ceremonial start. After the opening celebrations the events then begins with Stage 1, the 47km Kineta-Pissa stage, the longest Stage of the rally and then a late evening run through 21km Kineta. Both run as night stages. Depending on the weather, its possible for the dust to be an issue. Saturday, Day 2 of the rally consists of 8 stages with a total competitive distance of 149.5 km’s featuring stages such as Ghymno and ending the with the 21.63km Ziria stage. Sunday has only 4 stages with Pissia and the popular Loutraki Stage, the 30.14 km Loutraki test acting as the final ‘Power Stage’ for the event. Sunday totally a distance of just 83.2kms. Last year’s winner Sebastien Loeb will not be taking part due to his semi-Rally retirement, which means there will be a new winner for Acropolis Rally. 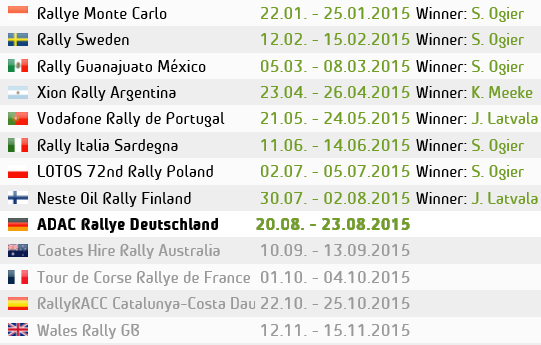 Taking Loebs place so far this year is Sebastien Ogier, and has to be favorite to win this weekend. 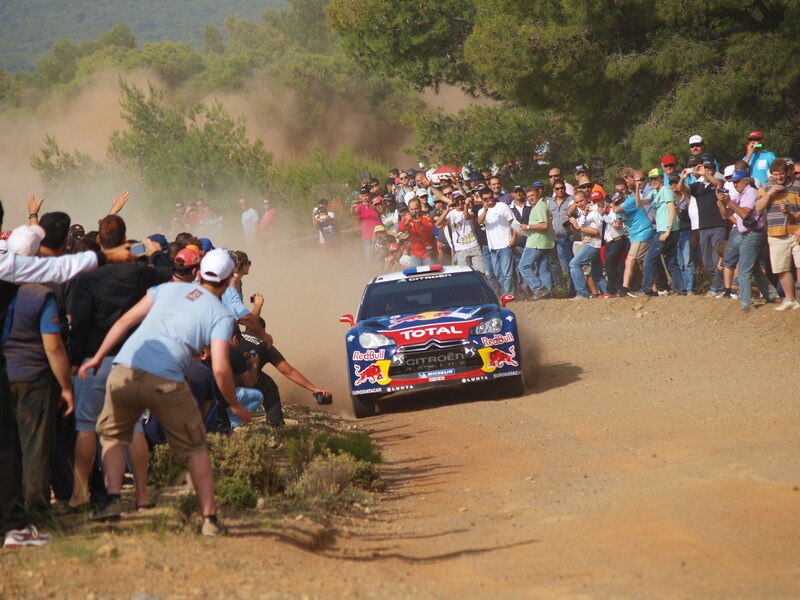 The Frenchman’s track record in Greece is similarly impressive to Loeb. 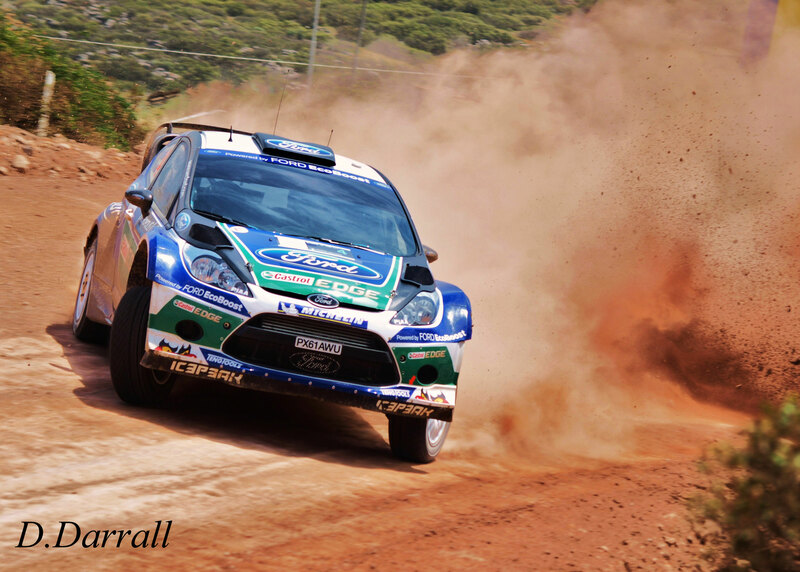 He finished 2nd in 2009, a result he calls his ‘breakthrough’ in the WRC, and won the rally in 2011. Last year, Volkswagen took part in the Acropolis with two cars manufactured by the group’s brand Škoda. Ogier won the Super 2000 category and finished in 7th position overall. Ogier’s team-mate Jari-Matti Latvala is also one to watch. The Finn rates the Acropolis as the hardest WRC rally of the year, but last year, in a Ford, he was the early rally leader before dropping to third after a mistake led to a puncture. although its taking a bit of time for the Finn to get up to speed in the Polo. Citroen’s team-leader Mikko Hirvonen could also be in the fight for the win Having finished on the podium on the last 4 outings in Greece – and winning in 2009 – the Finn is very familiar with the requirements of the event. Hirvonen has worked closely with Citroen on its ongoing development of the DS3 and evaluated new set-ups at a pre-event test in Greece. After missing this rally for the last two years, Hirvonen’s team-mate Dani Sordo could be in the running if he can quickly familiarize himself with some of the stages. Once again the Qatar M-Sport squad’s hopes ride with Fiesta RS duo of Mads Ostberg and Evgeny Novikov. Ostberg was an impressive 4th in 2012 after a remarkable comeback from an early off, and is eyeing a podium this week. Meanwhile Novikov has fond memories of the 2009 Acropolis Rally when he became the WRC’s youngest stage winner at the age of just 18.